JUGS 121 - Valentine Template/3D project | Work in Progress. For my DeNami Product Spotlight, click HERE. It's template/3D week over at Just Us Girls! Sweet Maria is challenging you to channel your inner St. Valentine and make something all about love. For my project, I thought I'd make something for my honey. I think a gift certificate is in order for him this Valentine's Day so I made something to contain said gift card. 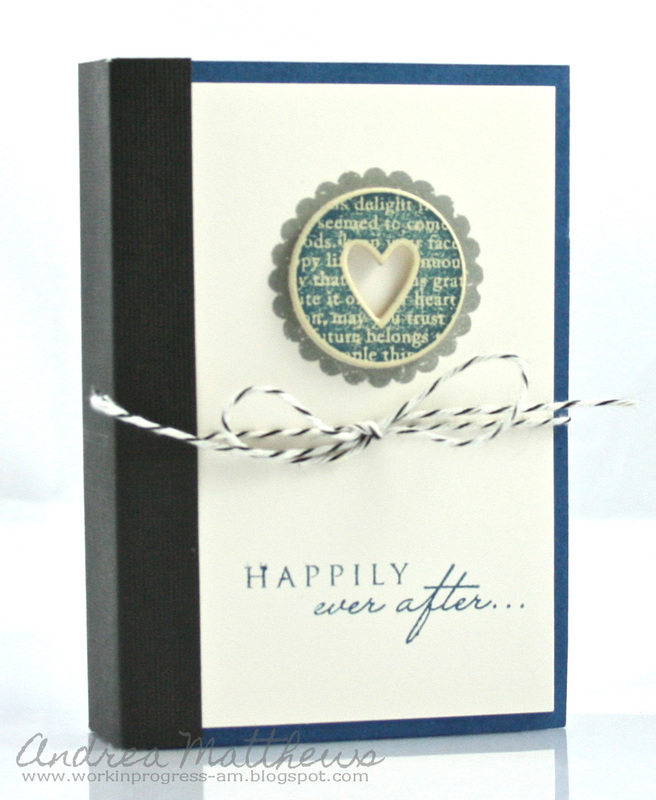 It's a book gift card holder - the inspiration and template came from a Paper Crafts download - 350 Cards & Gifts Patterns. 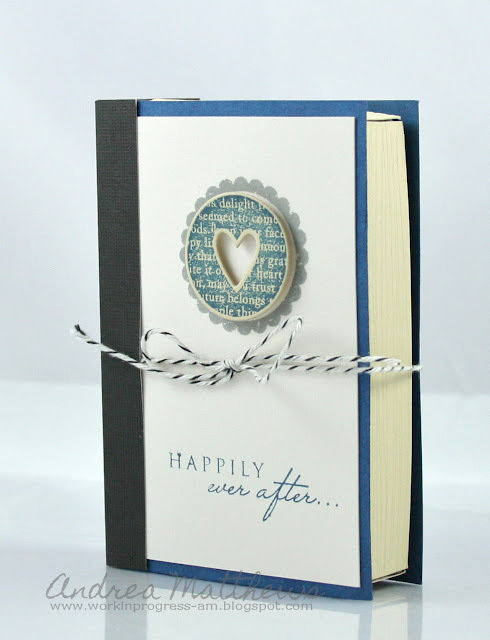 It's the Book Gift Card Holder by Julie Campbell - and it can be downloaded in jpg or pdf formats and printed off on cardstock. Easy peasy. My hubby likes to read so it's really appropriate. Check out what the rest of the talented JUGS DT has whipped up!!! 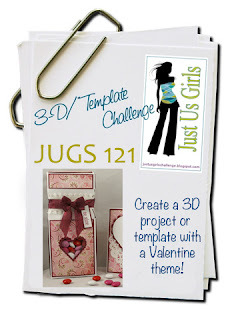 Posted in 3D/Template, JUGS DT, valentine . Bookmark the permalink. RSS feed for this post.